Every nurse dreads making a medication error. And every nurse is at risk for making a medication error. It’s easy to observe another nurse’s mistake and (with great relief) say, “That could never happen to me”. Much like an armchair quarterback after a football game, when medication errors are analyzed and dissected after the fact, the missteps are far more glaringly evident than they are in real time. Radonda Vaught, an RN at Vanderbilt, recently made a fatal mistake. She administered Vecuronium (a paralytic) instead of Versed (a sedative) to an elderly female patient undergoing a PET scan. Due to her mistake and lack of procedural sedation monitoring, the woman died. Nobody goes to work with the intent of making an error. Preventing medical errors is a high priority in most facilities. So how do errors happen, despite best intentions and safeguards? It’s important to follow a strict, structured routine and not vary from the routine. Variance results in errors. The six rights must be followed at every point of medication administration. Perform the Six Rights of Medication Administration. Every medication, every time. 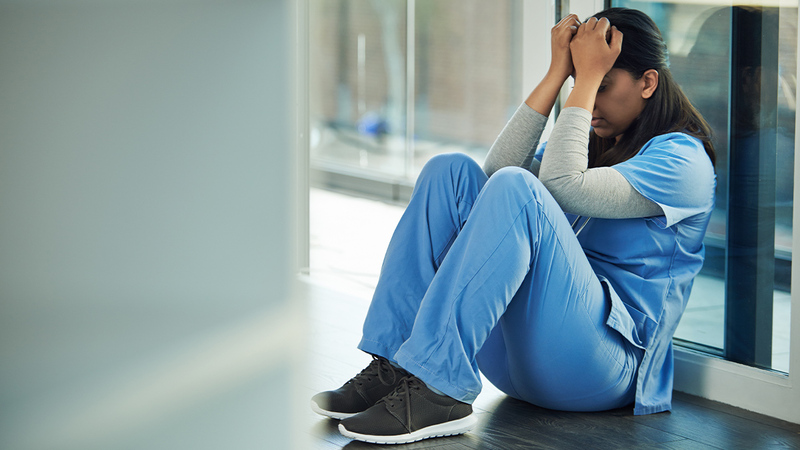 While every nurse dreads making an error, many nurses do not realize that many, if not most, errors are the result of system errors and workarounds. Mistakes can occur at multiple points during the process- ordering, transcribing, pharmacy checks, dispensing, and administering. When the mistake is discovered at time of administration, an analysis often shows multiple causes. It’s rare for a medication error to solely be the fault of the nurse. In the Dennis Quaid case at Cedar Sinai, the Quaid newborn twins were administered an overdose of heparin. While the nurse misread the dosage on the vial, the pharmacy tech delivered a heparin vial containing 10,000 units/mL instead of the ordered 10 units/mL. This is an example of confirmation bias on the part of the nurse. She expected 10 units/mL and most likely she “saw” 10 units/mL on the label. Check for patient allergies every time medications are administered. Speak up if you have questions about an order. Recently in the news, fatal doses of fentanyl were given to 28 patients in a hospital in Columbus, Ohio. The doses were higher than normally ordered but not only were they not questioned, they were administered. There are driving forces and opposing restraining forces in play and in this case, the culture and (presumed) peer pressure of not speaking up were the driving forces. Know the indications, contraindications, uses, and reversal agents of the medications you are administering. Perform double checks mindfully. Double checks requiring a math calculation should be conducted independently. Watch for bias of authority. A new nurse asked the charge nurse to double check her heparin drip calculation. The charge nurse arrived at a different rate, and the junior nurse assumed the charge nurse must be correct. The patient received too much heparin and bled out at their femoral artery sheath site. Listen to patients who question their medications. If a patient says, “What is this yellow pill? I don’t usually take it”, double-check the order and the indication. Stay in the moment and be intentional. Avoid inattentional blindness. Inattentional blindness is what occurs when your mind detaches, like when you run a red light or get home but can’t recall driving home. Be on high alert when using the override function in automated drug dispensing cabinets, such as Pyxis or Omnicell. Alarm fatigue is real and blunts our senses. Never become complacent as complacency can result in reduced concentration and an increase in errors. Be vigilant. To safeguard against error, do things in the same order every time. For example, scan the medication, administer to patient, and then document as given. Performing these steps out of order can result in errors of omission or overdose. When you are out of routine for any reason, you are at risk for making an error. Variance causes errors and operating from a routine helps to prevent errors. An example of being out of routine in real life is a parent who leaves their child unattended in a car while they go to work because it is usually the other parent who takes the child to day care. The forgetful parent was out of routine and did not have a trigger to warn them. Avoid workarounds and shortcuts that result in normalization of deviance. Normalization of deviance is when deviating from policy or procedure happens so often that it becomes the norm. Safety in healthcare is often compared to safety in the airline industry. Safety checklists in the airline industry gave rise to checklists in healthcare, such as pre-op checklists. There is nothing wrong with this, but it is difficult to compare healthcare to the airline industry. Unlike nurses, pilots don’t have doctors, visitors and patients interrupting their concentration at any given moment. There is a well-known error reported to ISMP many years ago of a nurse who poured chloral hydrate into a medicine cup and proceeded down the hall to a patient’s room. She was interrupted by a colleague and while talking to the colleague, sipped the medicine cup as if it were a cup of coffee. She had to be driven home. What happened to this bright, conscientious nurse? Due to the distraction, her automatic brain took over and said “When you have a beverage in your hand, drink it”. There is no such thing as multitasking when it comes to safe medication administration. Interruptions lead to errors. Some hospitals have followed the Institute of Medicine’s recommendation and designed a No Interruption or Distraction-Free Zone around the Pyxis or Omnicell. Still others require that nurses wear Do Not Disturb Vests while passing meds. Visitors and staff can be educated to hold their questions, allowing the nurse to concentrate on safe medication administration. Analyze and learn from your own and others’ mistakes instead of judging. Forgive yourself when you make an error. Human error will always be with us and none of us are immune. We must learn from our own mistakes, from each other, and grow. Nurses must both support and hold each other accountable. In this way we support a Just Culture which values patient safety above all.